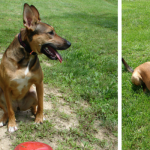 You are here: Home / Dog Articles / Who Doesn’t Love Silly Dog Poems? Will you ever calm down? 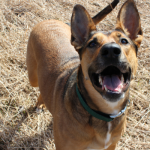 One of my favorite blogs is Life With Dogs & Cats; I could read Susan’s funny haikus all day long. 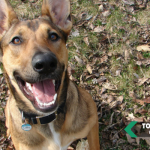 If you’re looking for some funny pet humor you won’t be disappointed. 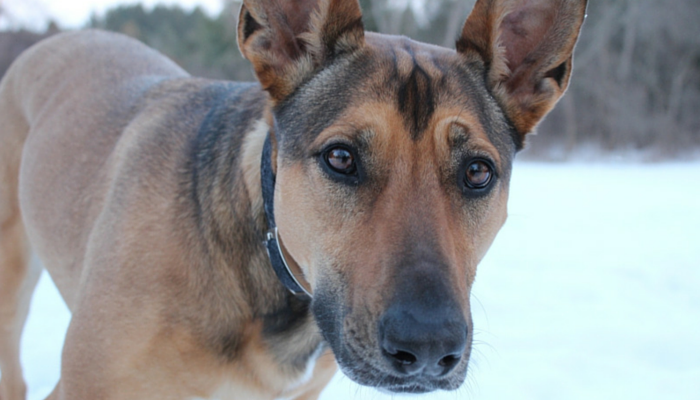 To learn more about Marcuilaino and how he got started with his humorous pet poetry listen to this great interview on NPR. 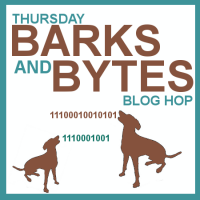 The Barks and Bytes blog hop is hosted by 2 Brown Dawgs and Heart Like a Dog. It’s for anyone and everything – so join in, have some fun, and and share what’s on your mind. 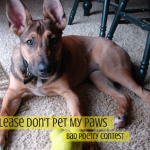 And celebrate National Poetry Month by writing some pet inspired poems and sharing them with your pet – they’ll be super impressed and flattered by your skills. I promise. Your poems are great and I think could apply to many dogs. 🙂 Thanks so much for sharing them on the hop! I’m not a poetry person, but I like yours! And Laika has the best face!! Oh this is awesome! I love these poems! You should check out Mary Oliver’s collection of poetry about her dogs called Dog Songs! Ted Kooser’s Valentines collection doesn’t specifically have poems about dogs, but his dog appears in the illustrations accompanying many of the poems. I’m going to check out that collection – I have had a hard time finding great poetry about dogs it seems like it’s so few and far between. Thanks for the tip. Just sayin’ – I love your poems!!!!!! !